It's been a while since my last post, procrastination has seriously kicked in... but since some new fabrics have just arrived (happy dance!!! ), I thought I might share with you a new start. So, a loved one is expecting a baby, and actually she's due next month, so I better hurry on this one, and I thought what a better way to express my love than with a lovely baby quilt. 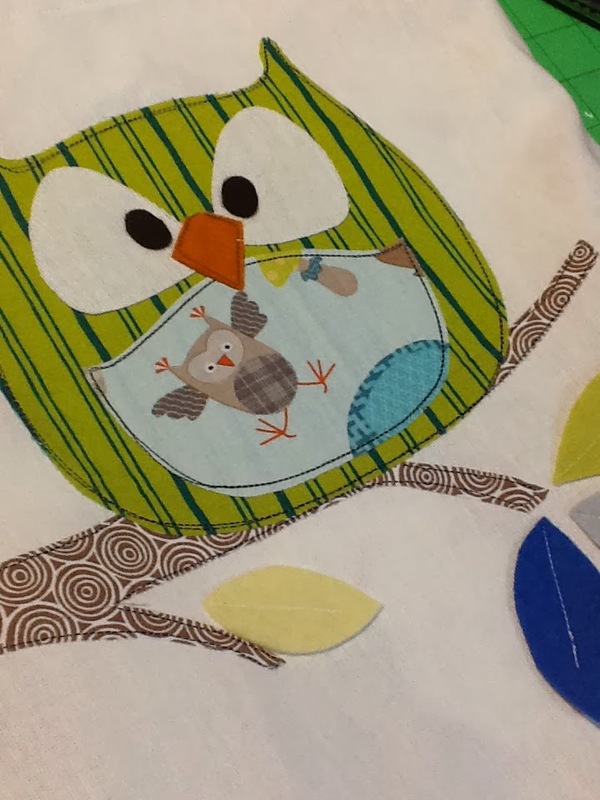 into a crib size quilt. 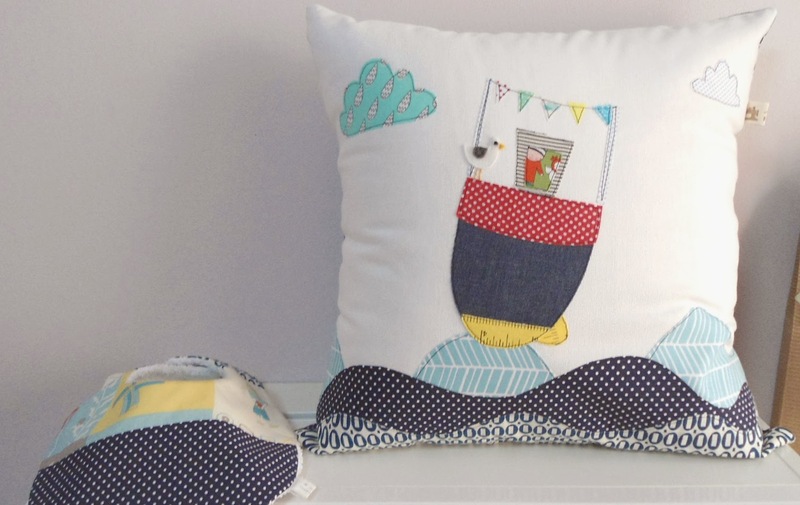 The difference is that the sea is going to be pieced while in this pillow was appliqué. I have already prepared the binding which is a lovely Riley Blake fabric, and it's time to cut into these cuties... Sew excited! I'm already thinking of how to quilt it, but there's still time for this. On another note, I've made two custom photo album sleeves of two Christenings. The one's theme was a little owl, and the other one's was a boat. And here they are..a very simple boat in the sea and Charlie the owl. Very simple but very loved themes both of them. And now I'm off to go cut some fabrics. Lovely cushion. Design would be great for a quilt! Nice covers for photo albums.